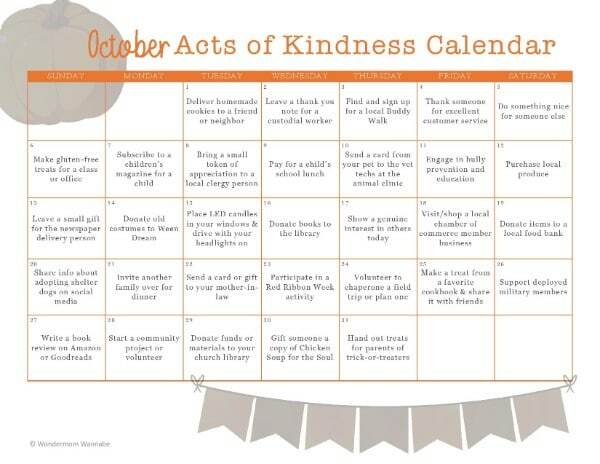 The October Acts of Kindness Calendar is ready! It’s part of my kindness calendar series, designed to inspire kindness and goodwill all year long. Each month’s kindness calendar includes ideas based on unique holidays and themes of the month. Are you ready to start spreading some joy? Scroll down to see this month’s suggestions. The themes I pull from for the October Acts of Kindness Calendar are a combination of meaningful awareness dates and fun, unusual holidays. Feel free to follow the calendar exactly or simply use the suggestions as ideas to stimulate your own random acts of kindness. Want to download all of the calendars at once? 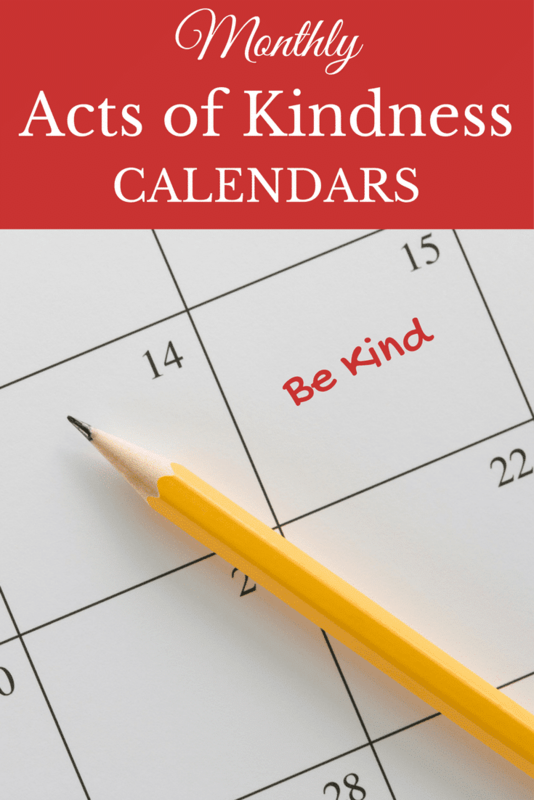 I’ve bundled them all together for your convenience in an annual printable kindness calendar. 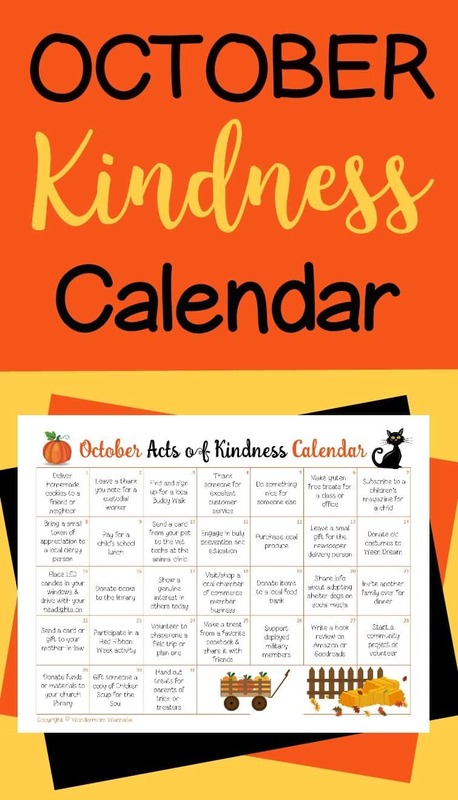 If you liked the October Acts of Kindness calendar, check out all of the monthly kindness calendars based on each month’s holidays and special observances. 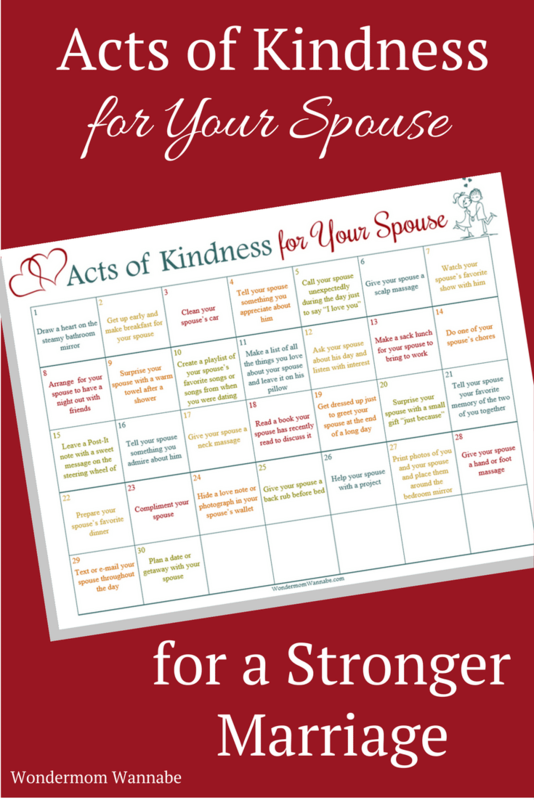 You might also like these Acts of Kindness for a Stronger Marriage. 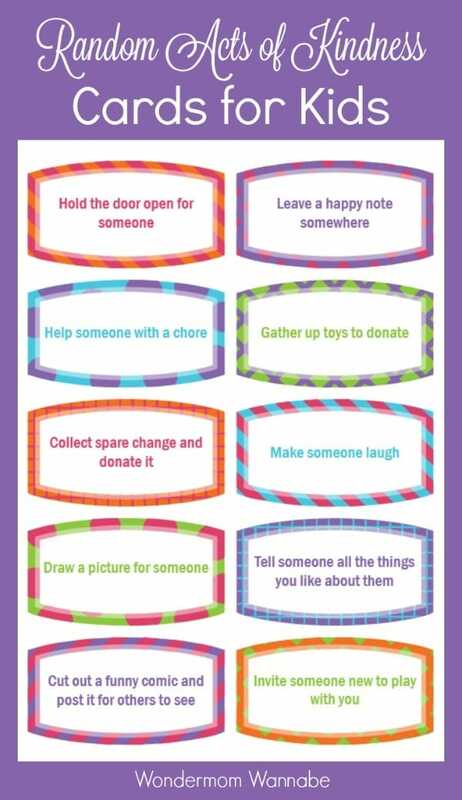 And these random acts of kindness cards for kids are a great way to teach your children to be kind. What are your favorite ways to spread kindness and joy to others? I’d love to hear your ideas! Please share them in the comments.